Monster Cable S-100 XLR Microphone Cable - 5' 30 ft.
Monster's S Series cable comes with Monster's legendary lifetime warranty and build quality, but is offered at a lower price than the Performer and Studio Pro Series. The twisted-pair construction of the Monster Cable S-100 XLR Microphone Cable reduces audio bandwidth distortions for better clarity. 92% coverage, copper-braided shield rejects RFI and EMI for a lower noise floor and increased resolution. Its extra-flexible Duraflex outer jacket provides superior reliability and cut resistance. 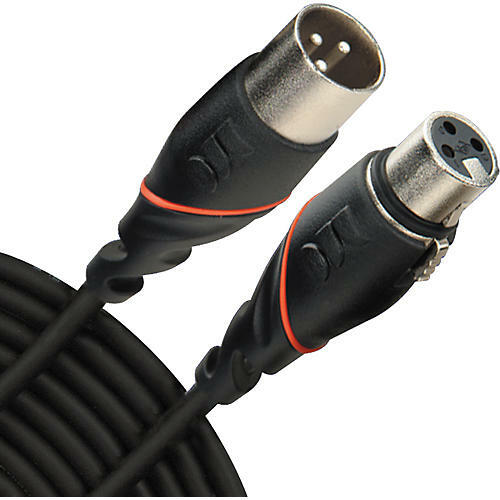 This cable also comes with a handy, interchageable colored "O" ring that attaches to each XLR connector for easy identification. Monster Cable's heavy-duty, molded connector design increases the durability and damage resistance of this microphone cables. This is for a 5' cable.